When out shooting, I am constantly searching for that one decisive moment when all the elements of nature come together in perfect harmony. I try to capture images that will reveal the mood of an area rather than just record an image that describes an area. This usually requires visiting the same location time and again, and allowing myself to be completely immersed in the surroundings. The more I go back to a place, the better I am at creating photographs that truly reveal the essence of where I’ve been. 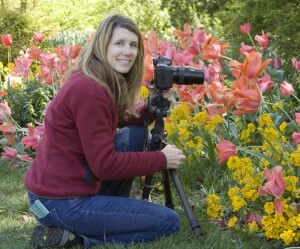 Using a tripod, and taking things slow, have always worked best for me. I like to spend time with a subject, and be fully immersed in the moment. The first shot is like a handshake and the last, a relationship. Since I work entirely outdoors, the use of natural light is always my first choice, but I also like to throw in a flash and reflectors when needed. Karin’s photography has been published in places such as Florida Wildlife Magazine, Photo World Magazine, Photo Life, Eco Florida, and on calendars, cards and a variety of other media. Her work hangs at hospitals, spas and is part of various corporate collections throughout the country. Her fine art career takes her all over the country where you can find her year-round displaying her work at some of the top fine art festivals.